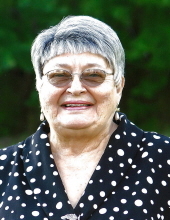 Snow Hill-Dorothy Mitchell Harris, 78, passed away on Tuesday, January 15, 2019. Dorothy was born August 24, 1940 in Craven County to the late Eber Mitchell and Martha Harris Mitchell. For Dorothy, the sun, the moon, and the stars rose and set on her husband, Bud. She loved him deeply and took great pride in the life they built together. Her devotion to her family was at the center of all she did. Her world revolved around the happiness and well-being of her family. As a wife and homemaker, she raised her sons with great strength and love. Dorothy enjoyed a simple life. The time she spent in the kitchen came with great reward, as her families’ fondest memories are of times spent around her table sharing food and fellowship. Dorothy was a lady of great faith and a strong believer in the power of prayer. Her word was her bond. She was a member of Victory Baptist Church. She truly loved her Lord and her church family. Dorothy was one to never meet a stranger and was one to quickly share the good news of Christ. Blessed with a artistic ability to express herself, Dorothy loved playing the piano and writing poetry. Her family fondly recalls her beautiful poems and the sweet sounds of her music. A service to celebrate and remember Dorothy’s life will be held Friday, January 18, 2019 at 11 a.m. at Rouse Funeral Home. Burial will follow at Snow Hill Cemetery. Dorothy is survived by her husband of 58 years, Julius “Bud” Harris; three sons, Glenn Harris, Gregory Alan Harris and wife, Emma, and Timothy Earl Harris and wife, Michelle; three grandchildren, Britt Harris, Madelyn Harris and Little Greg Harris and wife, Tristyn; six sisters, Iris Davis, Letha Buck, Shirley Dennis, Barbara Grady, Diane Mitchell and Laverne Watts; and a brother, Van Mitchell. In addition to her parents, Dorothy was preceded in death by a brother, Eber Mitchell, Jr.
Family and friends will be received Thursday from 6-8 p.m at Rouse Funeral Home. Online condolences may be expressed at www.rousefh.com. Memorials may be made to Victory Baptist Church, 3806 Highway 258 North, Kinston, NC 28504. Arrangements are entrusted to Rouse Funeral Home, La Grange. To send flowers or a remembrance gift to the family of Dorothy Mitchell Harris, please visit our Tribute Store. "Email Address" would like to share the life celebration of Dorothy Mitchell Harris. Click on the "link" to go to share a favorite memory or leave a condolence message for the family.